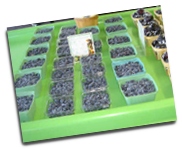 Produce - West Orchards Farm Market - Fresh cherries, strawberries, apples, pears, peaches, plums and more. All produce is hand picked. Our goal here at West Orchards is to sell the best possible produce and have it available consistently to our customers. To achieve this we sometimes have to purchase some locally grown produce from nearby farms. We can't wait for ya' all to try everything! 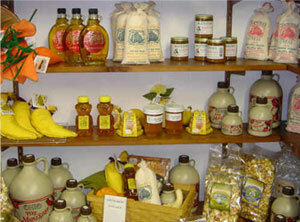 and many other gourmet food products. 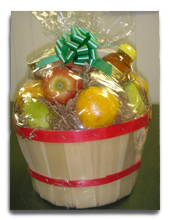 These items along with fresh fruit can be made into custom gift baskets. Each block in the table is one week of the month. There's always something "Fresh" happening at West's : We'll keep you updated on the crop via newsletter.